← CSC teste de nouvelles manettes. 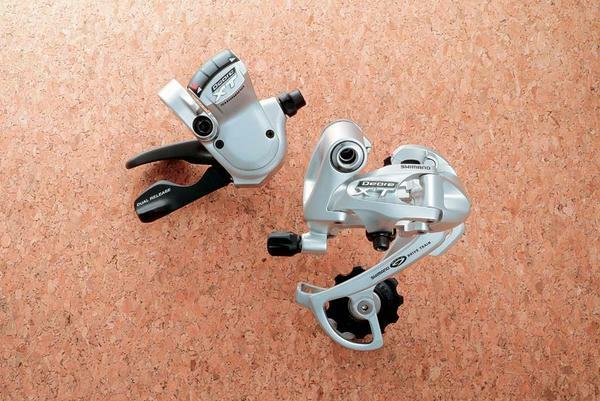 It seems there have had some 2007 Shimano products showup from a norvegian website that plugged in as exclusivity some pictures of the XT and LX MTB derailleurs and shifters. 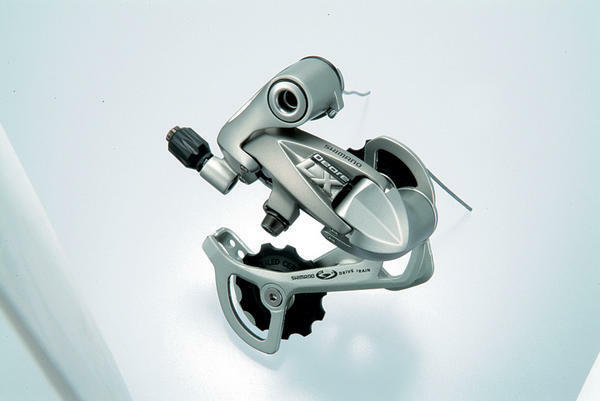 The design is changed while the weight is certainly lighter than 2006 products since it’s more worked. 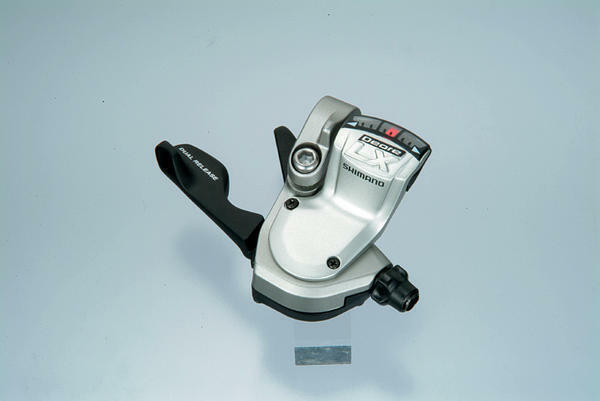 The shifters have the Dual Release function that stands for using the thumb or the index to change gears. These MTB news are very interesting because MTB groups were almost always updated one year before the road groups. 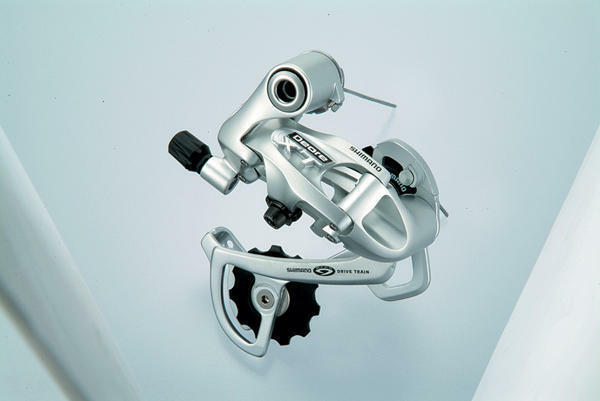 For example, recently the XTR crankset with external bearings was released one year before the Dura-Ace. We can think that road groups will be updated this way the following years. 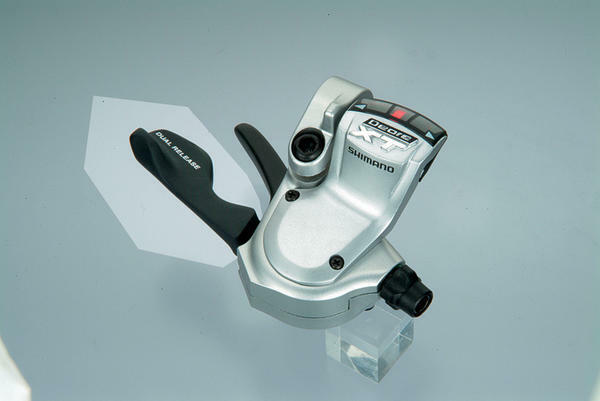 But still, we’re really waiting for the XTR group news that should be much more interesting than this new about high/middle range products. 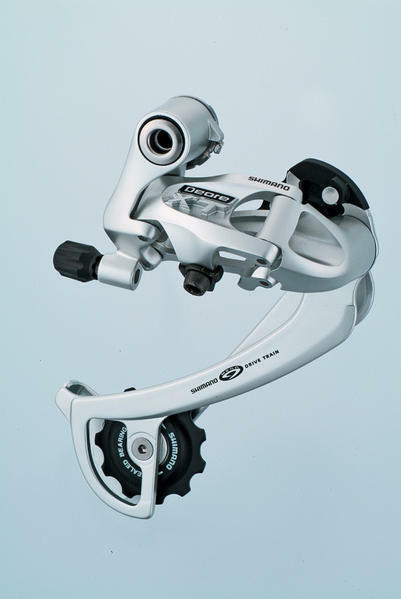 According to rumors, shimano should finally use carbon the next year, for MTBand road.